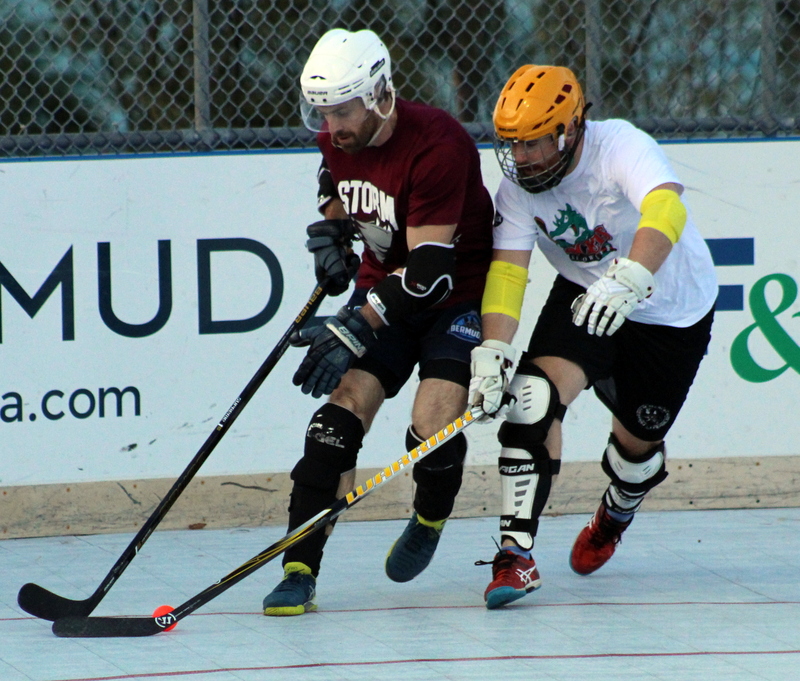 The Bermuda Ball Hockey Play-off’s continued at the PCC Hockey Rink with 14 goals scored in a double header. The Guelph Storm would defeat the Kelowna Rockets 5 – 2 in the opening game with Christopher Merritt and Chris Allington both finding the back of the net twice each, JM Tremblay added the other. Chris Coleman and Bill Calko scored a goal each for the Kelowna Rockets. In the nightcap the Calgary Hitmen defeated the Red Deer Rebels 4 – 3. Jacob Marchant would score twice for the Calgary Hitmen, who also got single strikes from Jeff Morash and Jacob Marchant, while the Red Deer Rebels would get single strikes off the sticks of Richard Campbell, Anthony Kapsimalis and Jeremy Estey.